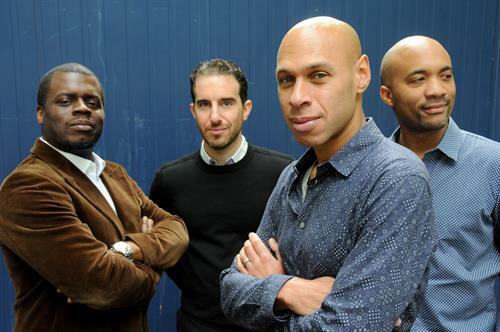 Winner of the 1991 Thelonius Monk International Saxophone Competition, Joshua Redman, makes his way to the Folly to perform with his quartet on Thursday, April 11 at 8 PM. Joshua Redman is the son of legendary saxophonist Dewey Redman and dancer Renee Shedroff. After Joshua’s graduation from Harvard in 1991, he took a year off before his plan to attend Yale Law. During that year, Joshua was swept up in the New York jazz scene! Redman released his first self-titled album in 1993. After several more successful albums, he was appointed the Artistic Director of SFJAZZ in 2000. With that appointment, the SFJAZZ Collective was created.